Republicans blast the Obama administration after it acknowledges a payment to Iran was contingent on the release of American prisoners. Republicans blasted the Obama administration on Friday after it acknowledged that a $400 million cash payment to Iran seven months ago was contingent on the release of a group of American prisoners, The Associated Press reports. State Department spokesman John Kirby has said the negotiations to return the Iranian money from a 1970s account to buy U.S. military equipment were conducted separately from talks to free four U.S. citizens in Iran. But he recently noted the U.S. withheld the delivery of the cash as leverage until Iran permitted the Americans to leave the country, according to AP. Kirby said Friday on MSNBC that the U.S. offers "no apologies." "First of all, this was Iran's money, OK? It was money that they were going to get back anyway," he said. "The second thing that was going on here ... was that there was a team working to get our American citizens back. That was a separate track. And it's true that with the nuclear deal done these two tracks were kind of converging and coming together, and we took full advantage of that. We make no apologies for that." Kirby added that "there isn't a lot of trust with Iran, so it would have been foolish and imprudent, in our view, to go ahead and settle the cash payment ... when we didn't have our Americans back." The Wall Street Journal on Thursday provided new details about the money transfer, which occurred on January 17, revealing that it was tightly scripted and specifically timed to the release of several American prisoners held in Iran. 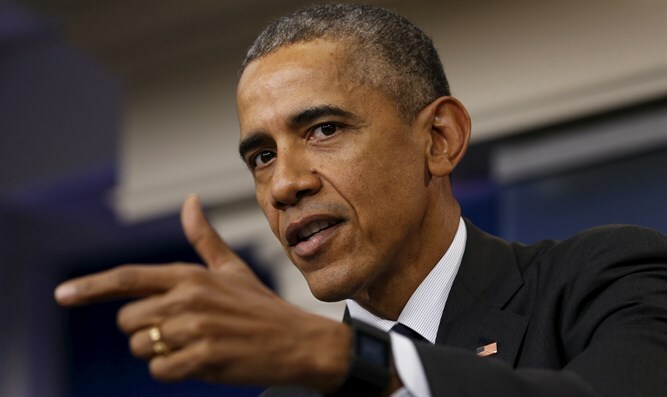 President Barack Obama and other U.S. officials had previously insisted the payment didn’t amount to ransom before the shift in their position on Thursday, which sparked anger among several members of Congress. "If it quacks like a duck, it's a duck. If a cash payment is contingent on a hostage release, it's a ransom. The truth matters and the president owes the American people an explanation," Sen. Ben Sasse (R-NE) said, according to AP. "Decisions like these are putting our nation and our allies at risk," added Sen. Richard Burr (R-NC), the Senate Intelligence Committee chairman. The alleged ransom was criticized by Republican presidential nominee Donald Trump shortly after it was revealed. Trump called the incident a “scandal”, and pointed out that negotiations opened when his Democratic rival Hillary Clinton was serving as Secretary of State. In a speech Thursday night in Charlotte, North Carolina, the Republican nominee accused Obama of lying. "He denied it was for the hostages, but it was. He said we don't pay ransom, but he did. He lied about the hostages, openly and blatantly," Trump was quoted as having said. "We actually had diplomatic negotiations and conversations with Iran for the first time in several decades," Obama said August 5, meaning "our ability to clear accounts on a number of different issues at the same time converged." The agreement was the return of the $400 million, plus an additional $1.3 billion in interest, terms that Obama described as favorable compared to what might have been expected from a tribunal set up in The Hague to rule on pending deals between the two countries, according to AP. U.S. officials have said they expected an imminent ruling on the claim and settled with Tehran instead. "The administration clearly has a lot of explaining to do," Rep. Jeb Hensarling, the House Financial Services Committee chairman, said on Friday. Congress, he added, must "fully investigate this outrageous action."